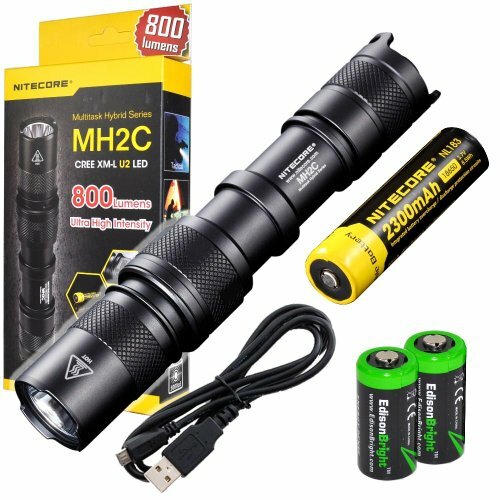 Flashlight torch multitasking rechargeable 800 Lumens-2 x CR123A batteries or 1 18650 Lithium Battery-autonomy max 28 h to 39 lumens with a rechargeable battery 18650 2600mAh nitecore-waterproof up to 2 m IPX-8-reach 140 meters. 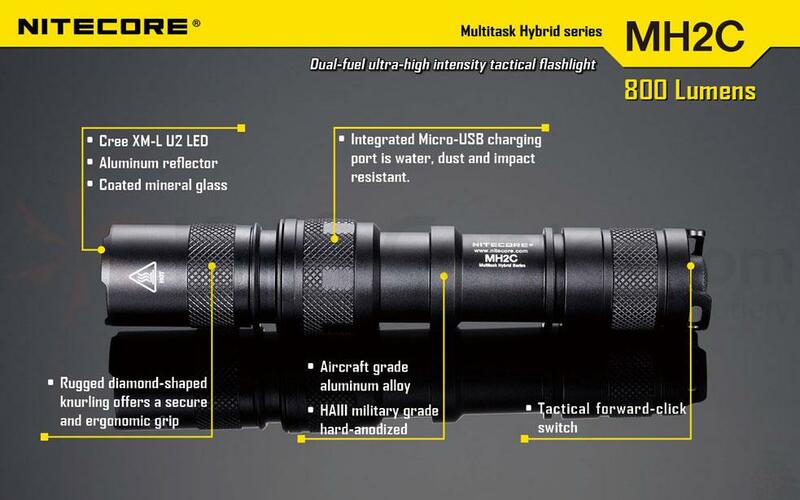 The Nitecore rechargeable MH2C tactical flashlight is a concentration of power, it generates 800Lumens in Turbo mode. She has two different modes, turbo mode and mode user, in the which you have 5 under modes including Strobe and the SOS. 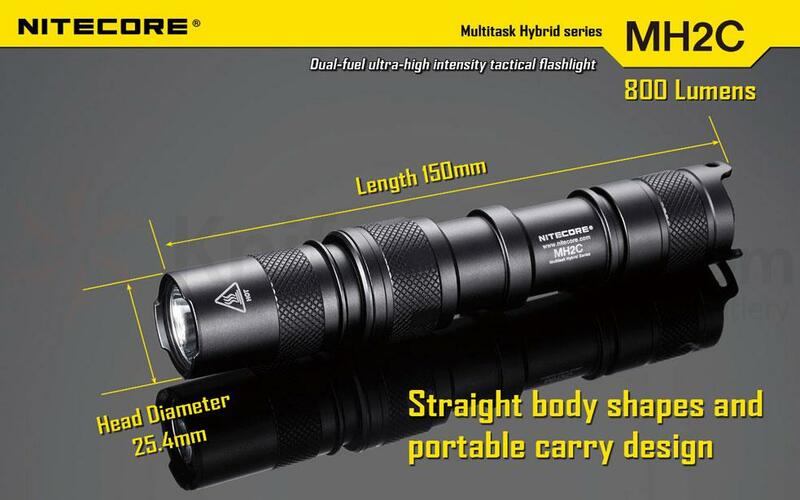 Operating mode: switch to Turbo mode is done by slightly turning the head and get the max of lighting level 800Lumens. Slightly unscrew the head to switch to user mode, and choose your level of intensity by using the off button. In different modes, you have access to the momentary mode. 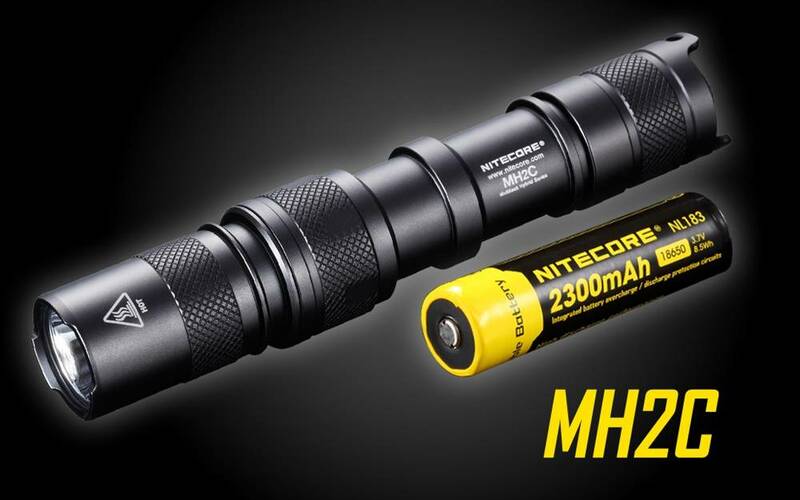 The Nitecore MH2C optical system allows to illuminate targets up to 140 meters, making it ideal for hunting or tactical operations. ts diameter of body of 25.4 mm allows to easily mount on a weapon. 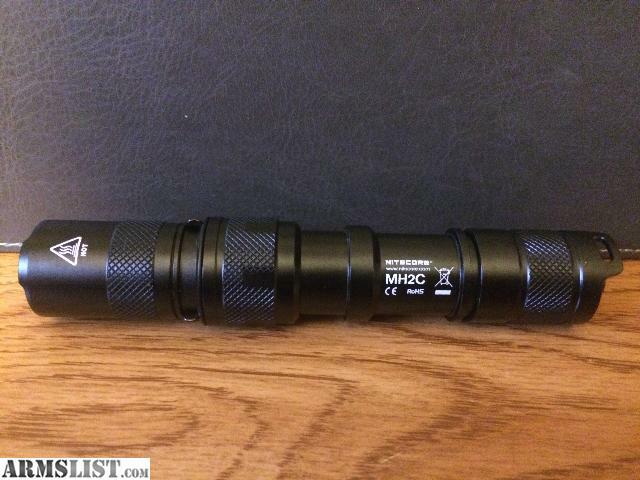 All these features and its low price make the MH2C an ideal choice for those who want an excellent tactical light. 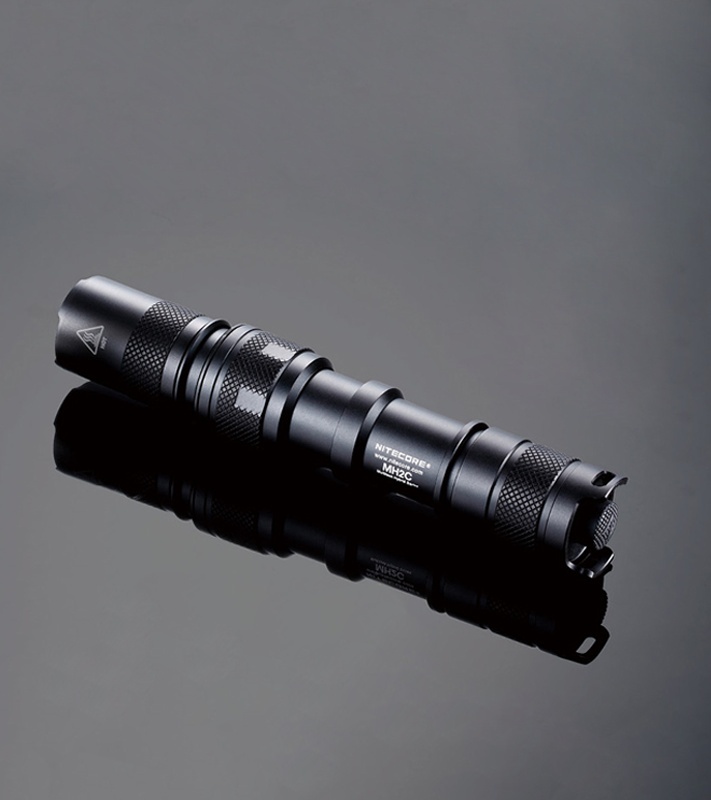 A tactical remote switch is available as an option, Nitecore RSW1 reference. Charging time 6 hours for a 2300mAh 18650 battery. 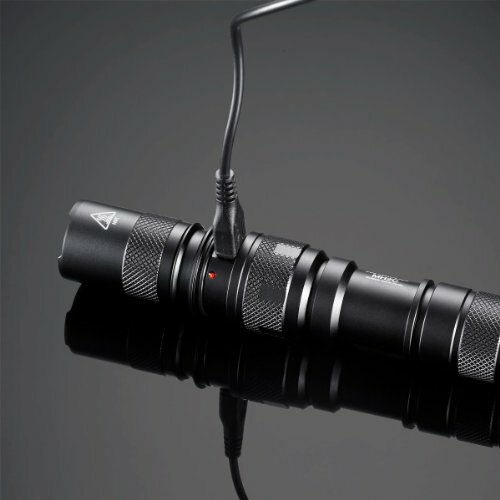 The USB plug is accessible by unscrewing the ring which is located under the head of the flashlight. A charge indicator located next to the USB jack, will blink twice every second during the charge. 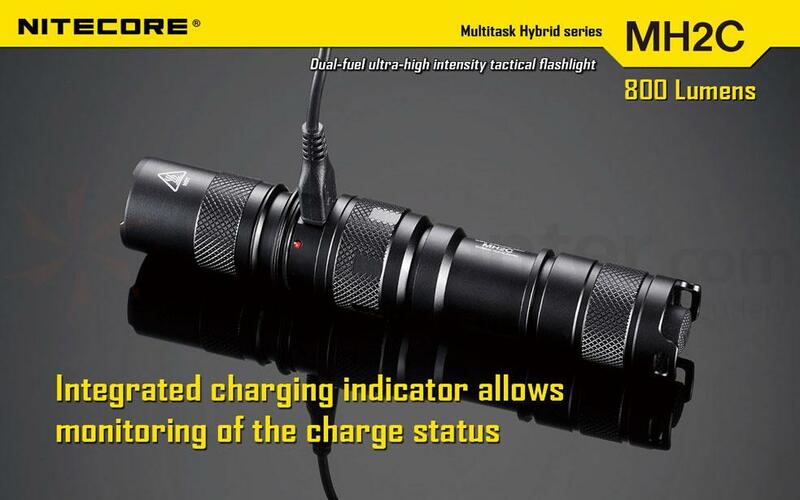 If a problem is encountered during the charge, the MH2C stop to load and the light will blink quickly. This happens usually when a battery is not inserted or not appropriate. When the charge is complete, the charging light will stay on continuously. 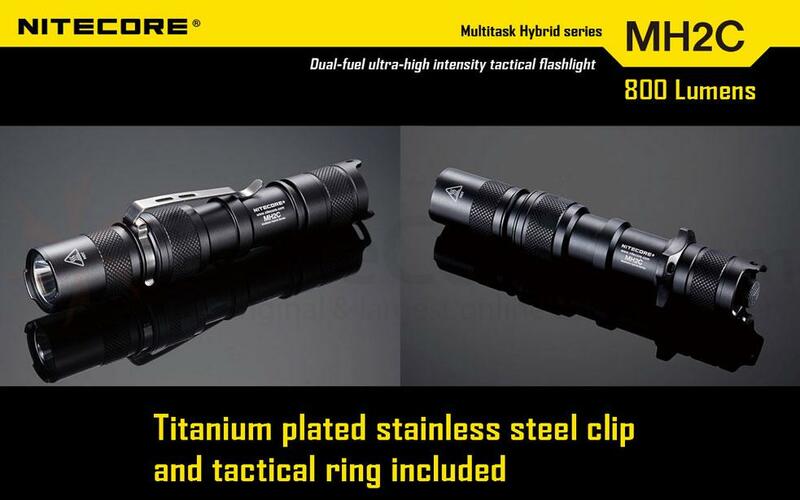 The flashlight Nitecore has MH2C of two modes: turbo mode and the user mode. 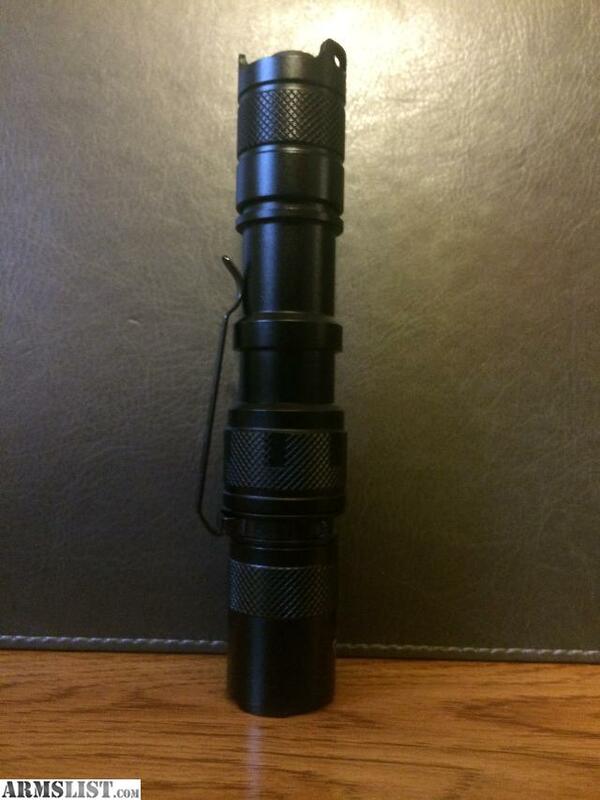 These two modes are accessible easily tightening or unscrewing the light head. 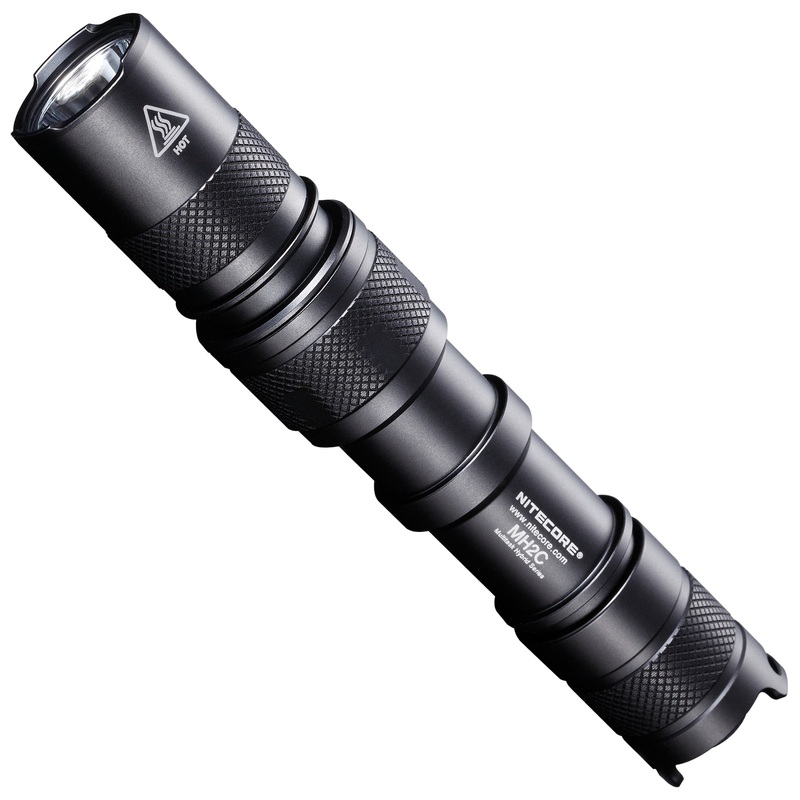 In turbo Mode you have a 100% output power is 800 lumens and in user mode you have 5 modes, 3 light intensities over the strobe and the SOS. Turbo mode is available when the head is completely screwed, in this mode the momentary switch mode is accessible by exercising a half press the off button. 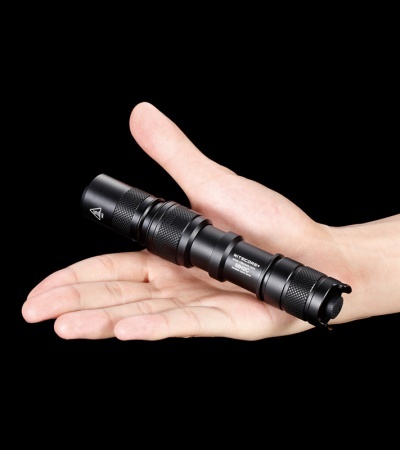 Important: After three minutes of use in Turbo mode, the flashlight will decrease the power output to avoid overheating and to increase self-reliance. 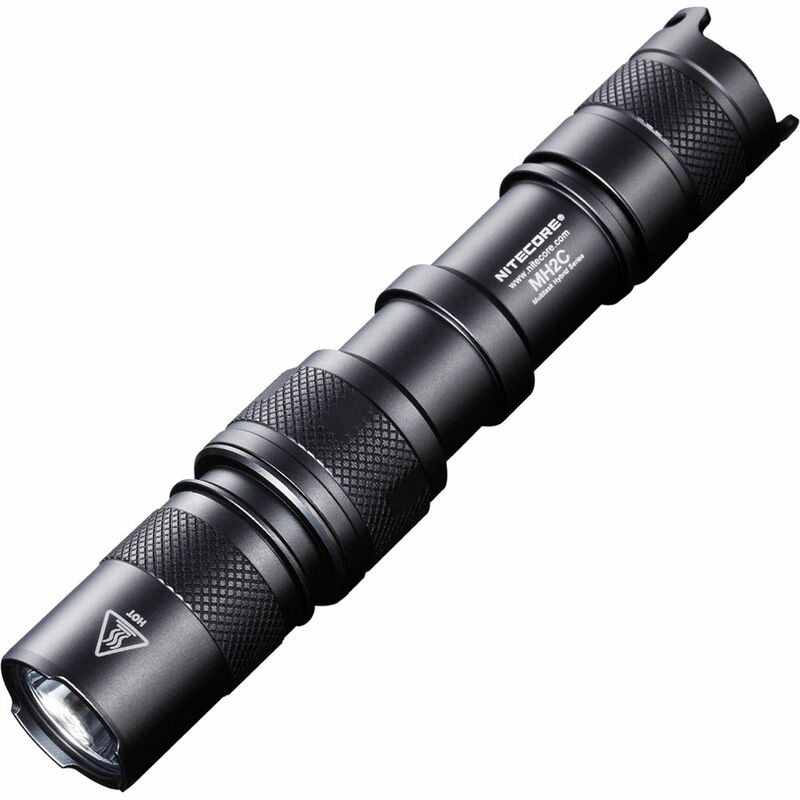 User mode: slightly unscrew the flashlight head to move in this mode, you can scroll the 5 five modes (High-Mid-Low-Strobe-SOS) with a half pressure on the main button.Press the button to store the sub mode you want. Accessories included: 1battery Nitcore 2300 mAh, cable micro USB, holster, hand strap, ring anti roll, spare for the switch, attached Cap o-ring spare, belt clip.